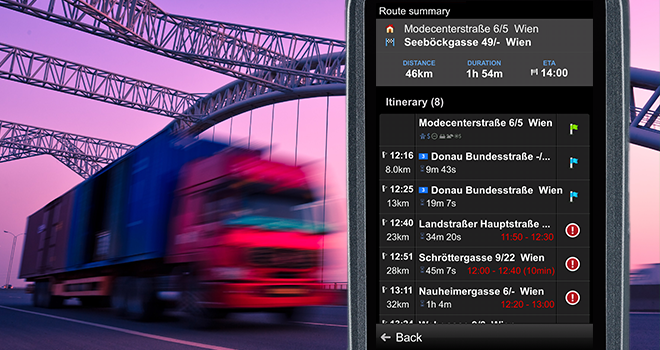 The latest release of Sygic Truck Navigation v. 13.5.1 introduces brand new features focusing on the driver’s user experience and extended itinerary management with precise time windows. The new release includes updated truck maps. Sygic Truck Navigation comes with realistic 3D maps and truck-specific features that automatically avoid roads not suitable for trucks or specific cargoes. Our new itinerary management system introduces better management of routes with multiple waypoints, where each waypoint can have a predefined time window and a stop time. When Sygic Navigation anticipates any delays for each waypoint, drivers and dispatch centres are notified ahead of time about the particular delays for each stop on the route. This feature comes in handy for delivery and client service fleets allowing couriers or dispatchers to take appropriate action through editing a delivery list and re-optimizing the itinerary, thus maintaining high efficiency in the field. For more information about the new itinerary implementation please contact our sales team. 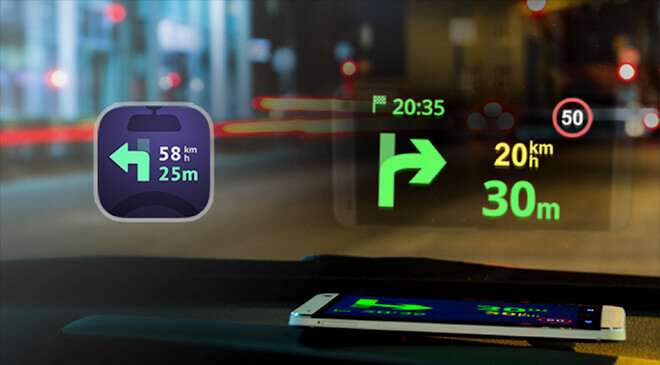 The Head-up Display feature, extremely popular among users of Sygic’s consumer navigation app, is also now available with Sygic Truck Navigation. The feature projects information about the route and direction directly on the windshield, so that all important instructions, such as turn arrows, the distance to the next turn, current speed, the speed limit and ETA remain in the driver’s line of sight when driving at night. No standalone devices or accessories are needed. 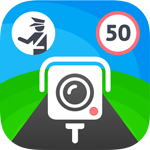 This feature is available as an in-app purchase directly from the application menu. To see the option, please update app from here. There are new truck maps for the EU region available for you to download (the North American region will be available soon). New maps always bring better routing, more truck details on the map and newly built roads. IMPORTANT - We recommend not updating maps while on the road. Perform updates only on a stable Wi-Fi network with unlimited data due to the large size of new maps. To update maps, please update your app from here.